A dragon is a legendary creature that doesn’t exist nowadays; dragons do however exist in mythology -meaning they exist in ancient stories passed down through generations from father to son, from mother to daughter. Dragons might have existed wayyyyy back in olden days and there are plenty of old stories with them in but with our modern outlook on life that’s all tut tutted away as being nonsense. Who’s to know for certain if dragons in all their splendour did or didn’t exist, no-one can say for sure, it would be fun if they did though wouldn’t it. If you talk of a dragon existing in the minds of people the world over, then they most certainly exist. 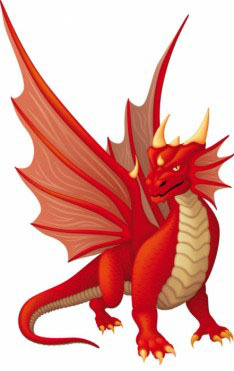 Dragons can be found in books and films and little internet sites just like this one. So do dragons exist – I thought that this was meant to be dragon facts? OK these are the facts, not what you might want to hear but putting some things aside for a moment.. these are the facts. Dragons do not exist and have never existed, they only exist in folklore and legend. This isn’t even at the level of Bigfoot or Nessie, they just didn’t exist. Is someone comes up with a reason for dragons existence then generally it’s about what animal was mistaken as a dragon, sort of hey y’know crocodiles, well someone in the middle ages might have mistaken them as a dragon, that sort of argument. No-ones out there saying, I saw a dragon lurking in my back garden yesterday, it just doesn’t happen. To test this, if you ever find someone who believes in the existence of Bigfoot, particularly if they’ve met the big B him/herself and you tell them that you believe in dragons, then they’ll probably change the subject and sidle off. They know how to do this well as lots of people have been doing this to them for ages and so they’re quite practiced. Dragons I hate to say it are on a level with fairies and trolls, they just did not exist and they don’t exist now. So if they didn’t exist then how come there are so many tales about them? Dragons exist in myths, there are ancient pictures of dragons and there are stories of dragons from every corner of the world, so if there weren’t any dragons around then what are these people thinking of? Were they just making up a pack of fibs? Well I reckon it could be a lot of things but mostly I think it’s people not knowing what something is. Suppose for example someone were to come up against an animal that they’ve not seen before, well generally that person needs to put that animal into a tidy little envelope and file it as something that they’d understand. So suppose they came across a crocodile and they’d never seen one before, well then they might find themselves a bit confused and do remember this will have been long before the days of the internet or TV – even long before books and libraries. So hang on…. they know that there’s this thing called a dragon that their Great Granddad used to talk about, it’s big, it’s scaly and it has large teeth, well then that crocodile they just met (they still doknow it’s a crocodile of course) must be a dragon. Hey presto… it’s a stretch I know. Pinch yourself as I know it all sounds a bit strange but it’s not just crocodiles that might be confused for dragons, someone from the middle ages will never ever see exotic animals from other distant countries, so there are lots of animals that they could get mixed up with. There’s big snakes, big reptiles like the Komodo Dragon (see there are real dragons, ok to be truthful it is just a big reptile that’s named after dragons, confusing isn’t it) or monitor lizard and there’s even the problem of misleading fossils and bones from dinosaurs that when dug up will confuse the bejeezus out of our distant relatives. Are all dragons the same? <-European Dragons – This is the kind of dragon that we all see in the movies. It’s big and brawny has two or four clawed feet, it has wings but it doesn’t necessarily fly, they live in caves or rivers and can sometimes breathe fire. There are some dragons from Europe that have more than one head and they’re usually portrayed as not being very nice at all. Chinese Dragons –> These are a bit slimmer than the European dragon, they’re usually depicted as being a bit snake –like but sometimes with legs (stuck out at all angles in some pictures). They don’t have wings but they can fly and their homes are clouds, rivers or the heavens. They are generally good, wise and can be bringers of luck. 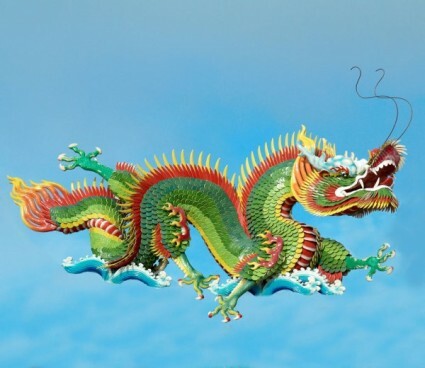 In the Chinese animal order dragons are considered to be top of the pile with a whole year of the Chinese calendar reserved to them, children born in the year of the dragon are considered to be gifted with luck and strength and they can remain youthful all their years. I was born in a dragon year…. heh. Was I born in the year of the dragon? If you were born between any of the dates below you can be considered to be born in the year of the Chinese dragon. 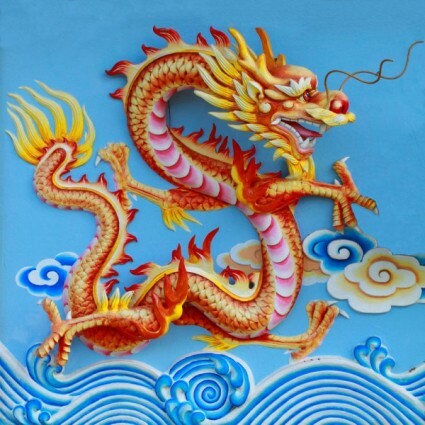 When is the next year of the dragon?